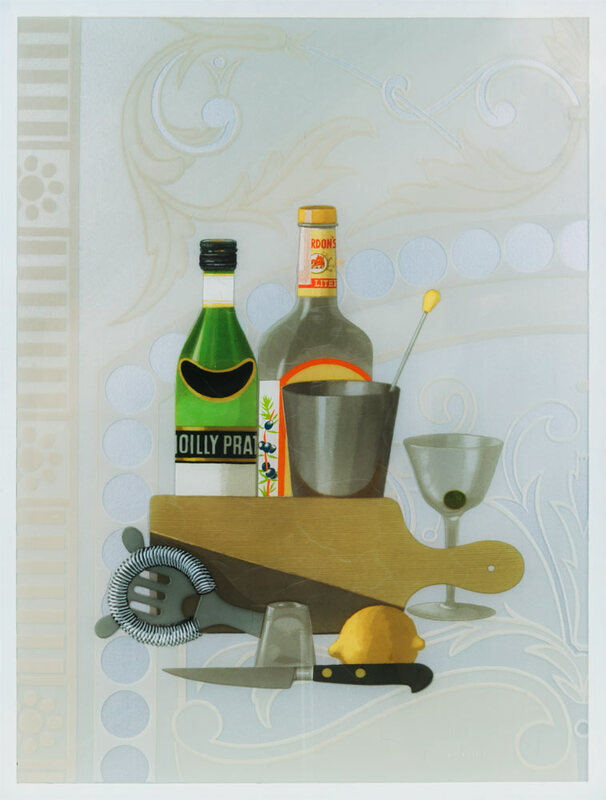 A Noilly Prat vermouth ad from 1955 claimed that “whether you mix your Martinis two-to-one or six-to-one, the finesse of the one is what makes it a Martini.” Or is it? 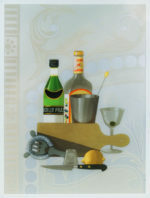 The ingredients of Allen Saalburg’s Martini (ca. 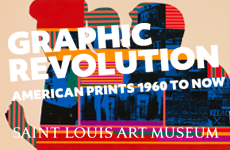 1979), a rare instance of screenprint on glass in a noncommercial print, were assembled over half a century, and pulling them together will be the exercise here. Saalburg (1899–1987) was an elegant but self-effacing character who moved between the midcentury New York smart set and its rent-controlled brethren: his older brother, Leslie, was a famous illustrator of men’s fashions (though the photographer Irving Penn remembered that while Allen was “more worldly than us,” he didn’t share Leslie’s “yearning for the paneled men’s club”).1 His circle of friends included artists such as Peggy Bacon and the writers Dorothy Parker and S.J. Perelman, and he was married to the fashion and costume designer Muriel King. Juliana Force, the founding director of the Whitney Museum, was a strong supporter. 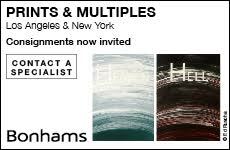 As with many American artists of his generation, his career straddled the ambiguous territory between art and “visual culture” and incorporated painting, printmaking, illustration and interior and theatrical design. George Balanchine asked him to create the sets for his definitive 1954 choreography of the Nutcracker (Saalburg declined, he said in horror later, because he didn’t care for Tchaikovsky). Some of his work was produced on commission, but most was not—Martini is among the many images made after he established his own press in the late 1940s. 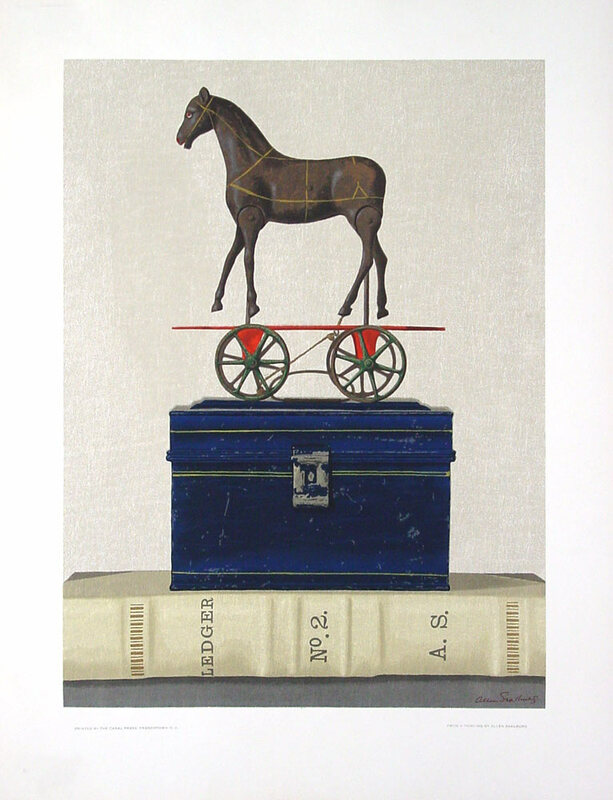 It is representative of his aesthetic and conceptual interests: visually witty and unabashedly decorative in a manner that subsumes the sleekness of European modernism, the earnestness of American folk art and a timeless mix of longing and repose. Saalburg had studied with John Sloan at the Art Students League in New York before following his brother into advertising and magazine illustration. 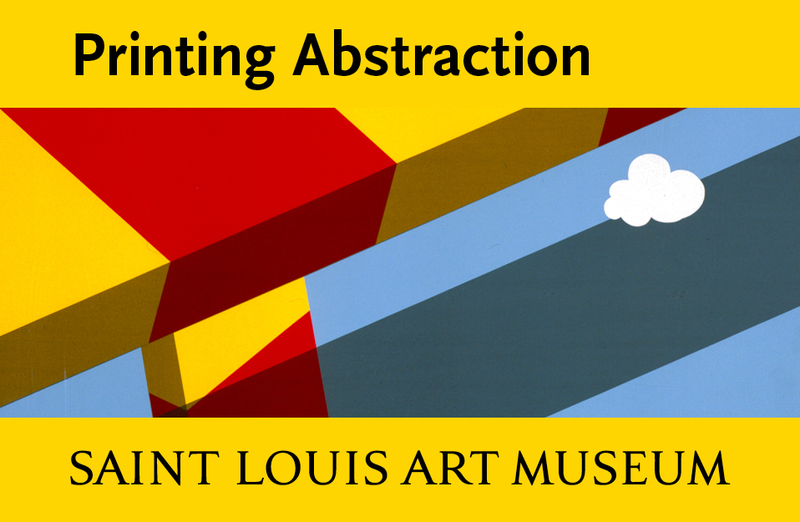 In 1929, when he went to Paris with his wife to help sketch runway couture for American department stores, he showed his work at the venerable Bernheim-Jeune Gallery, which exhibited modernists such as Henri Matisse, Jacques Villon and the American expatriate Gerald Murphy (1888–1964). An announcement for Saalburg’s show there reproduced a painting titled Tobacco in Chromo, a burlesque of cigar-box art presided over by a stylized cigar-box Indian. Saalburg’s playful disruptions of advertising iconography and his adherence to the flat truth of the picture plane give his work of this period a resemblance to that of Murphy, whom he likely met in Paris through their mutual friend Dorothy Parker. 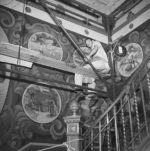 Allen Saalburg painting murals at the Central Park Arsenal, New York, July 1936. Image courtesy New York City Parks Photo Archive. 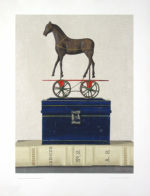 Back in New York, a fellow student from the League, the painter Louis Bouché, commissioned him to do a series of paintings for a gallery he ran, and by the early 1930s Saalburg was regularly showing decorative glass screens and wall panels (in 1932 the Brooklyn Daily Eagle praised his “whimsical unexpected juxtapositions of ideas and objects and stylized fashions and traditions,” the New York Times deemed the work “gently satiric” with “intriguing (and secret)” effects, while the New Yorker singled out a piece titled Bouillabaisse in Church—“fish and shellfish against an ecclesiastical motif”—as an “achievement in the modern technique”).2 It may have been Bouché who introduced Saalburg to Juliana Force. Lloyd Goodrich, the Whitney’s first curator, recalled that “more than one project for the good of American art was settled over the coffee and scotch in her Victorian drawingroom,”3 and Saalburg’s paintings of Force’s riotously over-decorated duplex apartment suggest an easy familiarity with the occupant and her belongings, which embraced both avant-garde art and early American art and artifacts. In 1924 the Whitney Studio Club, a precursor of the museum, had shown the first exhibit of American folk art—a pioneering effort followed by museum shows in Newark in 1930 and 1931 and at the Museum of Modern Art in 1932. The breadth of interest can be gauged by the creation of the Index of American Design (1935–42), a Works Progress Administration program that paid illustrators to document this patrimony and aimed to furnish American designers with a “usable past,”4 showcasing folk art’s affinities with modernist principles of abstraction, simplicity and restraint.5 Though Saalburg was not an Index illustrator, his screenprints from the 1950s treat similar objects, recording them not as self-contained but in a kind of documentary portraiture—collections of related things organized ornamentally. Later, however, he began to arrange them in relationships that implied vaguely magic-realist narratives. An Index image’s verisimilitude recreated a decoy and isolated the essence of duck; Saalburg’s showed a real piece of wood that was also alive. Force’s influence was important on another axis as well. Beyond the Whitney she was regional director of the Public Works of Art Project,6 another New Deal initiative designed to subsidize artists left scrambling by the Great Depression. Saalburg was one of hundreds who received $26.50–$35 a week because of her good offices, and by 1935 she had compelled Parks Commissioner Robert Moses to appoint him as WPA Director of Murals for the NYC Parks Department. 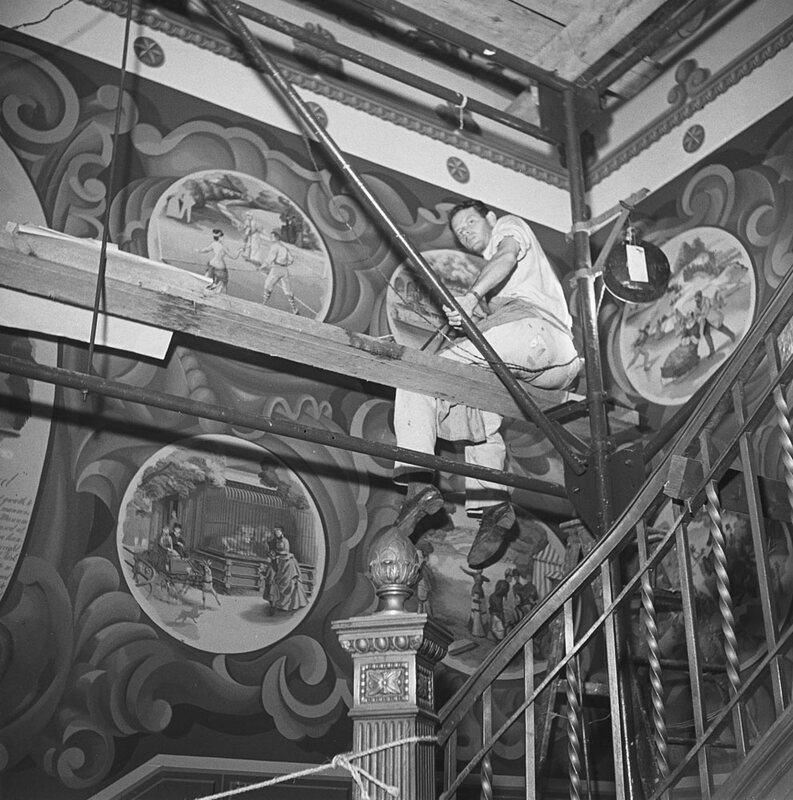 Saalburg’s floor-to-ceiling murals for the mid-19th-century Arsenal on Fifth Avenue still survive; like Martini they conflate illustrative depiction (in this case, vignettes of city life in the Civil War-era) and imported ornament (scrolls, arabesques, egg-and-dart edgings reminiscent of Victorian wallpaper). Allen Saalburg, Ledger (ca. 1970), screenprint, image 21 1/4 x 15 inches, sheet 26 x 20 inches. Printed by the Canal Press. Like other early screenprint artists, Saalburg recognized the democratic potential of the medium, which “enable[d] original works in color to be placed within the reach of every person.”9 Not only could one print “large editions . . . and expand the audience for art,” but the logistics of the enterprise (you could print on inexpensive paper, and the equipment was highly portable) meant one could “live anywhere.”10 The postwar New York world was a different place from the one in which Saalburg had come of age: the ascendancy of abstract expressionism and the implied obsolescence of his own interests and preferences may have troubled him, and his life had undergone traumatic change: his marriage had ended, and he had suffered the death of his only child. In 1947 Saalburg left New York for Bucks County, Pennsylvania. In a hamlet alongside the Delaware Canal he established the Canal Press, where he made and printed his screens, and lived with his second wife, Mary Faulconer, a magazine art director who continued to work in New York. For the following 40 years he produced large editions (and a few small ones), in keeping with his Currier & Ives “prints for the people” ethic, signing his work but not generally numbering it (“I am not a businessman,” he said). Independent, and probably well in advance, of American pop art’s embrace of industrial materials and methods, Saalburg plied his squeegee on mirrors, window shades, wooden furniture, moving three-dimensional Lucite “orbits,” and glass.11 (He was clearly adept with the last technique by the time of the 1964 World’s Fair in New York, for which he produced floor-to-ceiling murals on the glass curtain wall of the carousel-shaped Clairol Pavilion.) His dead-pan illustrative style, interest in mass-market accessibility, and flat, formalized arrangements of familiar objects were also predictive of Pop art concerns, but his attachment to Americana placed his sensibility outside the Pop tent. 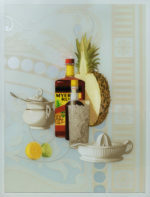 In 1979, at the Bodley Gallery in New York, Saalburg showed glass screenprints of food and drink; some were fanciful reassemblings of images from 19th-century cookbooks, while others, like Martini, came clean out of his own head.12 In their flirtation with trompe l’oeil and material truth (the pigment arranged to resemble glass and the glass that is actually glass), the prints pick up a thread of American visual poetics that runs from folk art to the paintings of John Frederick Peto to the conundrums of Ed Ruscha. And here we come to the final finessing—as in holding your cards back—that makes Martini. Allen Saalburg, Daiquiri (ca. 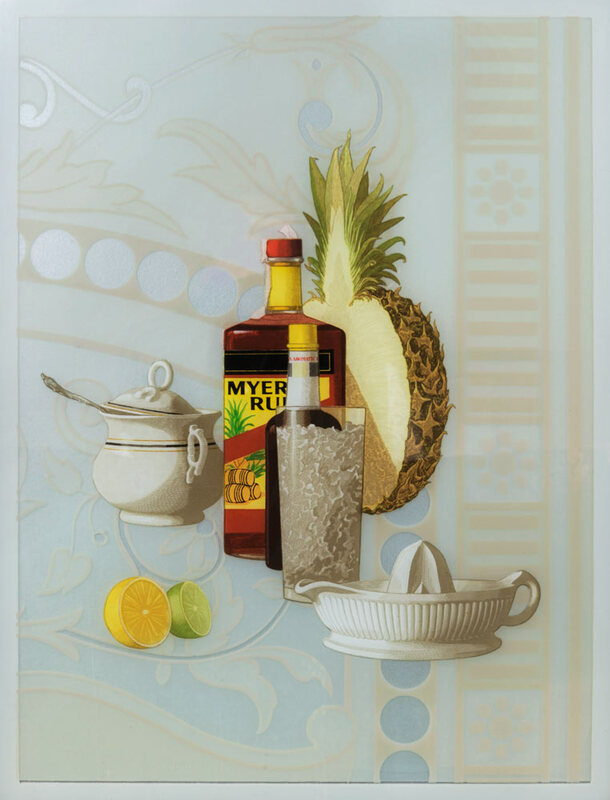 1979), screenprint on glass, image 17 1/2 x 23 1/4 inches, glass 20 x 26 inches. Private collection. Photo: Elliott Mickleburgh. A striking effect is somewhat foreclosed in a photograph, but the faux etched-glass screen in the background (a French bar? a verre églomisé panel on a posh cruise ship?) is made even more convincing by certain unscreened parts—the circles, for instance, backed by silvery paper. As acanthus leaves frisk in the background, the cool cast of the happy hour waits to go on, as if the bartender had just yelled “PLACES!” In the general poised expectancy, only the knife is on edge, policing the lemon and the shot glass. The Hawthorne strainer rests on one ear, leaning against the barricade of the cutting board, which ensures that the main actors—we’d know them anywhere—will not jump their cues. Only the pert plume rising behind the top of the martini glass hints at the enhanced self-esteem soon to come. But those barriers are for us as well. Don’t think about drinking yet, the whole composition seems to say: abide in the beatitude of the before.